Signal and communications employees with Canadian Pacific Railway (CP) have voted to accept a tentative three-year deal that helped end a 33-hour work stoppage in late May. 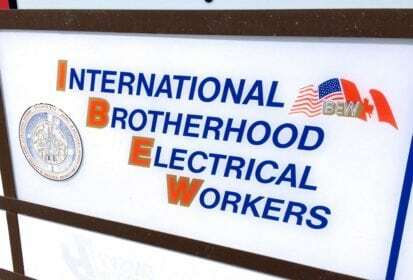 CP and the International Brotherhood of Electrical Workers (IBEW) System Council No. 11, which represents 360 CP signal maintainers, announced Friday the union’s CP members had voted 78 per cent in favour of the new deal. “The hard work begins now, with CP’s commitment we will move forward together to implement the new provisions” of the memorandum of settlement, Council No. 11 senior chairman Steve Martin said in a CP release. The IBEW members, along with CP conductors and engineers represented by the Teamsters Canada Rail Conference (TCRC), had hit the picket line on the evening of May 29. Rail operations resumed May 31 after CP and union negotiators reached tentative agreements with help from federal mediators. About 3,000 TCRC-represented CP employees are scheduled to begin electronic voting Monday (July 9) on their memorandum of settlement for a four-year agreement. E-voting on that agreement is scheduled to close July 20, the TCRC said June 25 in a letter to members on its website. The TCRC said its bargaining committee unanimously supports the new deal and recommends its CP members vote in favour. Grain groups had urged the federal government to intervene in the weeks leading up to May’s strike, fearing even more disruptions to grain movement off the Prairies.